I have no more problems with my leg, it’s now just an annoying issue of the past. But the weather is still kinda boring and I still don’t want to go for a long hike. But I went to one of the local ponds with my mother because you can find a lot of ducks there and swans. That’s where I shot the walking duck photo that you can see above in this post. I cropped the image to get even closer as I shot it with my 50mm lens. But I included the uncropped version of the photo at the bottom of this post, because I like both images. 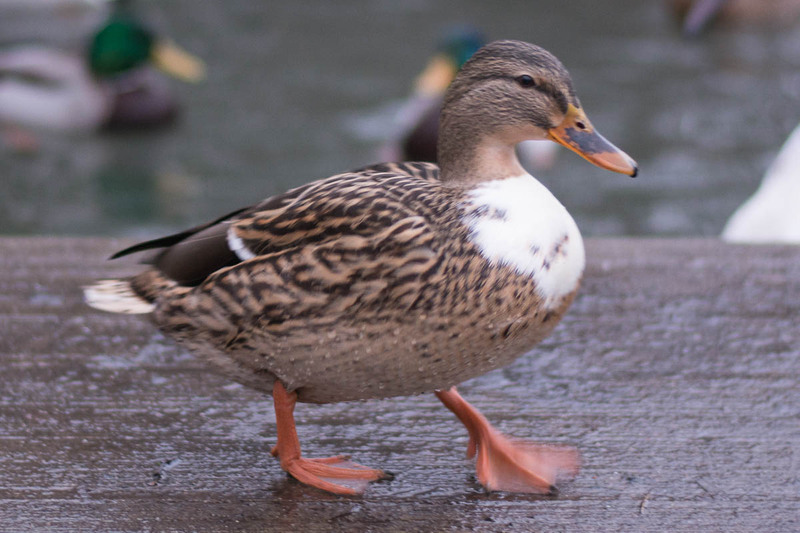 I’d say it’s a female mallard, but the white chest is a bit strange and I have read that it could be a hybrid duck. 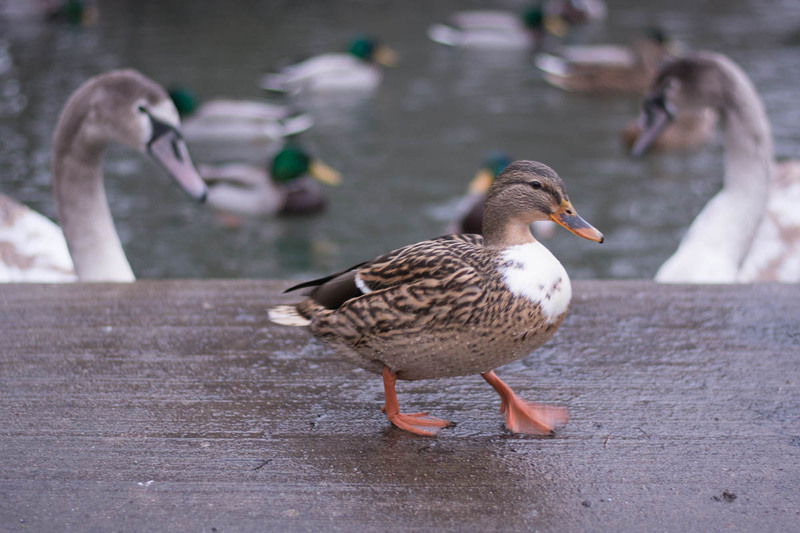 You can find more duck photos on my blog if you like. [ Laughs ] I love the walking duck, Dennis. He or she is rather cute!